Prior to the televised 10-minute address in Hindi shortly after noon on March 27 by Indian Prime Minister Narendra Modi, few had expected that he would be announcing the beginning of a new space age for India. 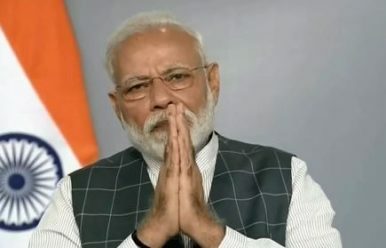 Modi declared that India had successfully conducted an anti-satellite (ASAT) missile test, lauded the scientific establishment, emphasized that this was a measure for national security without contravening any international law, and assured that the step wasn’t aimed toward any specific state. The exercise, dubbed as “Mission Shakti,” involved the use of a direct ascent hit-to-kill, where a missile from Earth, without any explosive warhead, destroys the targeted satellite upon impact through kinetic energy alone. The Indian space program marks a half-century of operation this year, as the Indian Space Research Organization (ISRO), the sixth largest in the world, was established in 1969. It has carved out a niche not only through exemplary cost-effectiveness and innovative societal applications, but by hosting the largest constellation of civilian satellites in the Indo-Pacific region, the success of the Mars Orbiter Mission, and creating the world record of launching 104 satellites from a single rocket. With the ISRO being oriented toward civilian projects, the ASAT test was under the aegis of the Defense Research and Development Organization (DRDO). The architect of the indigenous missile program, the DRDO had been publicly expressing the intention for an ASAT test since 2012. The test was conducted by adapting India’s indigenous Ballistic Missile Defense interceptor vehicle, which targeted a functioning Indian satellite at a height of 300 km in low-Earth orbit within 3 minutes. The selection of a target in low-Earth orbit aimed to prevent space debris, since space pollution is a universal concern. Satellites enable features from civilian to military, scientific and commercial – and thereby, outer space is integral to the functioning of modern societies, as a diverse range of services and devices ranging from missiles to mobiles, banking to navigation, meteorology to disaster management are irreversibly dependent upon it. The strategic utility of space was evident from the early years of the Cold War, when both the United States and the erstwhile Soviet Union demonstrated a wide array of space weapons including anti-satellite missiles. As the Space Age dawned with the advent of Sputnik in 1957, research and development of various types of anti-satellite systems can be traced on the both sides of the Iron Curtain to this time – however, the 1980s marked the crest, with U.S. President Ronald Reagan’s Strategic Defense Initiative. That was followed by a prolonged trough. Ending decades of stability, China conducted an ASAT test in 2007 and the United States responded a year later. Since then the United States, China, and Russia have accelerated their military space activities in varying degrees and the arrival of new technologies like hypersonic glide vehicles and nano-satellites further complicates the picture. While there hasn’t been any conflict in space itself and establishing weapons in space is proscribed as per the Outer Space Treaty of 1967, strategic applications of space technology are nevertheless widespread. Deploying a weapons system in space denotes weaponization of space and is in contravention of the Outer Space Treaty; in contrast militarization of space entails utilizing space for military purposes and is legitimate. Incidentally, subsequent proposals to restrict an arms race in space have been languishing at the United Nations Conference on Disarmament since the 1980s, owing to opposition primarily from the United States. The European Union, Russia, and China have in the recent past put forward various proposals ostensibly to prevent the weaponization of outer space, but platitudes notwithstanding, consensus remains elusive. India has consistently opposed the weaponization of space and upholds space as the common heritage of mankind — but the Chinese ASAT test in 2007 aggravated India’s security concerns and catalyzed the establishment of an Integrated Space Cell within the Ministry of Defense. Outer space being integral to key strategic and civilian functions, securing assets in space has emerged a crucial priority. India now joins the select quartet of countries in the world possessing the ability to project hard power in space along with the United States, Russia, and China. The tests seem to be driven by considerations of security, demonstrating technological prowess, and by the rightful Indian insistence on having a voice at the high table of global politics: a recurring theme of Indian diplomacy. As the Ministry of External Affairs underlined, “India expects to play a role in the future in the drafting of international law on prevention of an arms race in outer space… in its capacity as a major space faring nation with proven space technology.” Further, the assertion of upholding international conventions signaled India’s desire to be perceived as a responsible global player – the Chinese ASAT test of 2007, for instance, had been condemned globally for a lack of transparency and generating the largest amount of space debris in history. The unequivocal assertion about the military nature of the tests is welcome for a country where enduring amnesia about the role of force in international relations circumscribes its emergence as a great power. Space assets had been harnessed for intelligence, surveillance, and reconnaissance (ISR) functions before — with the cross-border raids and aerial strikes like that of post-Uri and Balakot being facilitated through satellite reconnaissance and remote sensing, for example – but the ASAT test establishes a new aspect to the deterrence matrix. Still, the optimal utility of space power cannot be realized absent an integrated Space Command and without a coherent space doctrine while possessing a comprehensive gamut of ASAT measures. The test conclusively establishes India as a pre-eminent space power, but it remains to be seen whether political will sustain subsequent steps crucial to consolidate this momentum.